With Squarelovin, you can collect, manage and publish UGC on Instagram. Download and edit the content and effortlessly link it to your products to create shoppable posts. Sqaurelovin also provides metrics on your recent posts and growth, and a monthly analysis of your performance. Have2Have.it is a discovery portal between your Instagram and website. With Have2Have.it, you can create a gallery of Instagram images that are linked directly to the products you want your followers to discover. Like2Buy makes any Instagram feed shoppable. Like2Buy allows brands to add a link in their profile that brings followers to a shoppable page. Photoslurp is a visual commerce and marketing platform for brands. It collects UGC content across the social media networks of your customers for you to curate and share. You can easily link incoming photos with your product catalogue to make them shoppable. 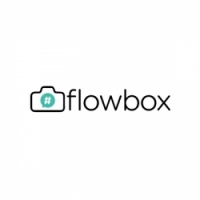 Flowbox allows you to gather, filter, display and share all UGC relevant to your company. Simply put: If UGC is an ocean of information, Flowbox is the net which catches the most relevant and inspiring content! Product Lead is an e-commerce solution that helps you to increase engagement and conversion rates by optimizing, scheduling and analyzing your social content. With Foursixty you can turn your Instagram content and UGC into shoppable galleries for your online store, emails, blog and ad campaigns. You can also manage & secure the rights to digital content.